What is the cheapest way to get from Carteret to Menlo Park Mall? The cheapest way to get from Carteret to Menlo Park Mall is to drive which costs $1 - $2 and takes 13m. What is the fastest way to get from Carteret to Menlo Park Mall? The quickest way to get from Carteret to Menlo Park Mall is to taxi which costs $27 - $35 and takes 13m. Is there a direct bus between Carteret and Menlo Park Mall? No, there is no direct bus from Carteret to Menlo Park Mall. However, there are services departing from Washington Ave At Pershing Ave and arriving at Menlo Park Mall via Woodbridge Center Mall. The journey, including transfers, takes approximately 1h 17m. How far is it from Carteret to Menlo Park Mall? The distance between Carteret and Menlo Park Mall is 6 miles. The road distance is 7.5 miles. How do I travel from Carteret to Menlo Park Mall without a car? The best way to get from Carteret to Menlo Park Mall without a car is to line 48 bus and line 810 bus which takes 1h 17m and costs $1 - $5. How long does it take to get from Carteret to Menlo Park Mall? It takes approximately 1h 17m to get from Carteret to Menlo Park Mall, including transfers. Where do I catch the Carteret to Menlo Park Mall bus from? 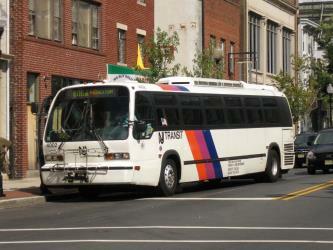 Carteret to Menlo Park Mall bus services, operated by NJ Transit, depart from Washington Ave At Pershing Ave station. Where does the Carteret to Menlo Park Mall bus arrive? 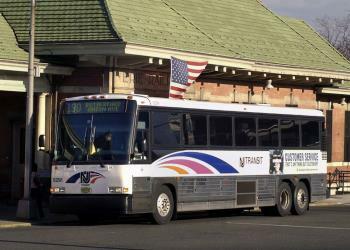 Carteret to Menlo Park Mall bus services, operated by NJ Transit, arrive at Menlo Park Mall station. Can I drive from Carteret to Menlo Park Mall? Yes, the driving distance between Carteret to Menlo Park Mall is 7 miles. It takes approximately 13m to drive from Carteret to Menlo Park Mall. Where can I stay near Menlo Park Mall? There are 165+ hotels available in Menlo Park Mall. Prices start at $69 USD per night. What companies run services between Carteret, NJ, USA and Menlo Park Mall, NJ, USA? 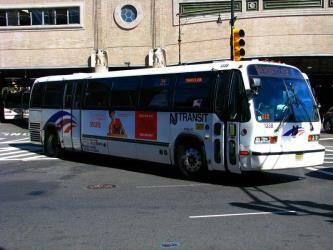 You can take a bus from Carteret to Menlo Park Mall via Woodbridge Center Mall in around 1h 17m. 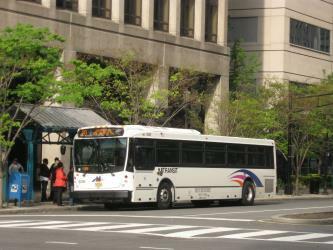 Bus from Rector St At Washington St# to Amboy Ave.
Rome2rio's Travel Guide series provide vital information for the global traveller. Read our range of informative guides on popular transport routes and companies - including Thanksgiving 2018: How to travel stress-free, How do I get from Sydney to Melbourne and How to plan an amazing trip around Scandinavia - to help you get the most out of your next trip. Discover how to get to attractions and hotels near Woodbridge. State Theatre New Jersey is a nonprofit theater, located in New Brunswick, New Jersey. It has seating for 1,800 people. The Thomas Edison Center at Menlo Park, also known as the Menlo Park Museum / Edison Memorial Tower, is a memorial to inventor and businessman Thomas Alva Edison, located in the Menlo Park area of Edison, Middlesex County, New Jersey, United States. The tower was dedicated on February 11, 1938, on what would have been the inventor's 91st birthday. The Edison State Park is located in the Menlo Park section of Edison, New Jersey. It covers a total area of 37 acres. The park commemorates the site where the famous inventor Thomas Alva Edison had his Menlo Park laboratory. In his laboratory, Edison invented over 600 inventions such as the incandescent electric light and the phonograph, the latter being the first object to record and play sound. Rutgers Gardens (130 acres) is the official botanic garden of Rutgers University, located on the outskirts of Cook Campus, at 112 Ryders Lane, North Brunswick, New Jersey. The grounds include 60 acres of designed beds, specialty gardens, tree and shrub collections, lawns, and walking paths, as well as the adjoining 70-acre Frank G. Helyar Woods. A place of learning and beauty, Rutgers Gardens strives to provide a fun, educational, and engaging place for students, faculty, and the community to enjoy the natural world. The gardens are open year-round, without fee, and feature horticultural collections arranged in garden settings. In 2017 it was granted landmark status by the American Society for Horticultural Science. Rome2rio makes travelling from Carteret to Menlo Park Mall easy. Rome2rio is a door-to-door travel information and booking engine, helping you get to and from any location in the world. 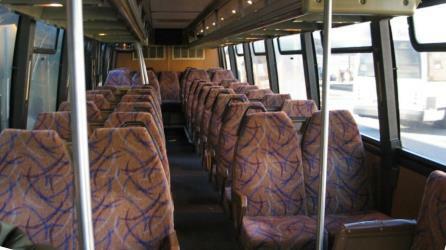 Find all the transport options for your trip from Carteret to Menlo Park Mall right here. Rome2rio displays up to date schedules, route maps, journey times and estimated fares from relevant transport operators, ensuring you can make an informed decision about which option will suit you best. Rome2rio also offers online bookings for selected operators, making reservations easy and straightforward.